﻿With 3 time Canadian Champion, World Champion and Olympic Medalist Jeffrey Buttle having participated in this very program, it has been in existence for over 25 years. Once a week throughout the season, this session is run in a group format with main coaches Heather Basso and Wendy Philion. Special features include advanced edge and turn sessions, extra seminar time and competition simulations. 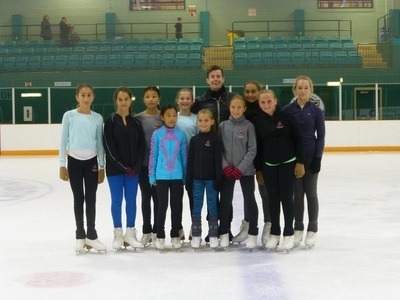 A skater who moves to the higher session during the season does not automatically move up in competitive program as well. It is at the discretion of the coaches. Skaters from all skating clubs are welcome to apply. The coaches will decide what level that you best fit into.